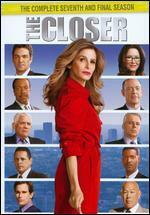 Kyra Sedgwick, J.K. Simmons, Corey Reynolds, Robert Gossett, G.W. Bailey. New in new packaging. 4 discs. Language: English. Run time: 60 mins. Originally released: 2005. Kyra Sedgwick. 2006 Run time: 602. New in shrink wrap. Ships fast with tracking. Kyra Sedgwick. New. 2006 Run time: 602. In publisher's shrinkwrap Open Books is a nonprofit social venture that provides literacy experiences for thousands of readers each year through inspiring programs and creative capitalization of books.